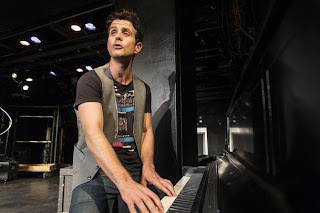 Joey McIntyre began singing and dancing long before he was a member of New Kids on the Block. Indeed, McIntyre was just 8 when he made his musical theater debut, singing “Gary, Indiana’’ from “The Music Man’’ at the Footlight Club in Jamaica Plain. So he is. 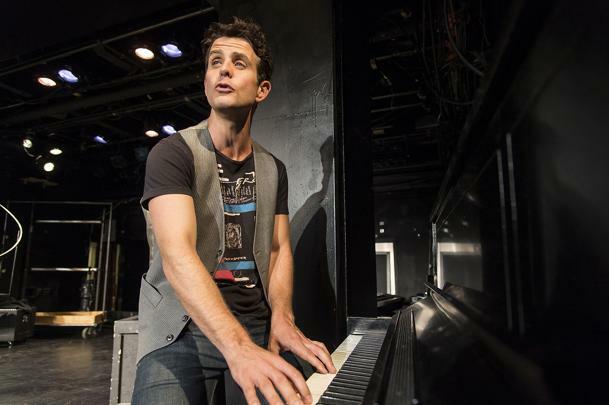 McIntyre will tell his own story in a new musical called “The Kid.” The one-man show, which he concedes is still taking shape in rehearsals, opens Aug. 29 at the Garner Galleria Theatre in Denver. “The Kid” will have a three-week run in Colorado before heading to New York. At least that’s the goal. McIntyre says he and the producers, William Sherak and Jason Shuman, are determined to take the show to the Big Apple, perhaps as soon as next spring. The music, which (for now) is performed sparely on piano or guitar, includes songs by New Kids, Gershwin, Nat King Cole, and even a tune from the musical “Oliver!” To prepare, McIntyre, who’s now 40 and a married father of three children, says he watched performances by Elaine Stritch, Lena Horne, and Bette Midler. So will McIntyre’s NKOTB bandmates Donnie Wahlberg, Danny Wood, and Jordan and Jonathan Knight come to see the show?